The Swing Riots, as they became known, started in August 1830 in Kent. 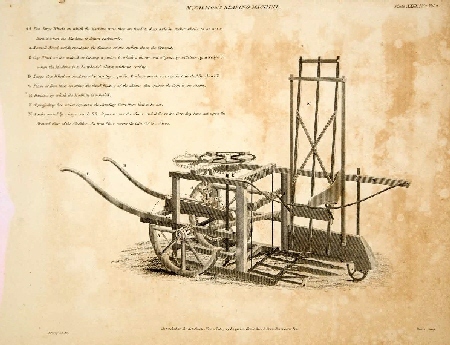 The poor agricultural labourers, under-paid at the best of times, began to see their traditional jobs being replaced by new machinery. They also objected to the benefits system that was used at the time, and thought that large landowners and the Church were taking too much from them in rents, tithes and taxes. Letters were sent to their local lords of the manor and clergy, demanding changes to the system or threatening violent reprisals. In one of the first orchestrated anonymous campaigns, these letters were all signed by “Captain Swing”. It is easy to imagine labourers plotting these letters in a local inn, and someone saying “We’ll swing for this if they catch us!”, and this name somehow stuck, and ‘Capt. Swing’ becoming the mythical figurehead of the movement. Large numbers of labourers gathered to protest, and riots soon broke out. There were many arson attacks on farms and machinery, and even on those who built and maintained the equipment. The further you go back in local history, the less that national events seem to impact our sleepy little corner of North Bucks and West Beds, but this movement even reached these parts. In November 1830, The Morning Post reported that the stack yard of Henry Hoare of Wavendon was set on fire in the afternoon, and he lost a substantial amount of wheat, beans, and clover. This corresponds with the first ‘Captain Swing’ letters being received in Buckinghamshire. To show the seriousness with which these cases would be dealt, a £200 reward was offered, a phenomenal amount compared to wages of the day. The authorities were terrified that this kind of revolt was the start of a working-class revolution, the type of which had swept away the French monarchy just thirty years before. On 2nd December 1830, a crowd of about 100 local labourers appeared at the Rev. John Fisher’s house in Wavendon. They demanded that he sign a pledge that all labourers would be paid more, and that his tithes would be reduced. They were also aggrieved that buns were no longer thrown from the church steeple, and beer distributed in the churchyard on St Georges Day! Rev. Fisher pointed out that these customs had stopped before he came to the parish. Apparently, the crowd were so threatening that Mrs. Fisher was rendered speechless. Despite this, Rev. Fisher tried to keep the crowd calm, and a meeting was convened nearby, with the parish officers. There, the crowd demanded further concessions. However, Rev. Fisher did not waiver, so the crowd returned to his house, and threatened to pull it down. He addressed the hostile crowd, and said, “…they might murder him, and pull down his house, but they should gain nothing by bullying.” The crowd wanted to visit the house of the local landowner Henry Hoare, but Rev. Fisher convinced them not to, as he knew Mr. Hoare was currently ill in bed. These events come to light due to a report of court cases nos. 111-113 on 14th January 1831, against three of the men at the protest. The Government thought local magistrates would be too lenient on local men that they may know personally, and so convened Special Sessions, as machine-breaking was a capital crime. At the Bucks Special Assizes at Aylesbury, which opened in January 1831, barely two months after the start of the disturbances, Thomas Burrows, aged 35, William Goodall, 27, and John Collins, 20 (recorded as Thomas in some records), were all charged with being “riotously and tumultuously assembled against the Kings peace.” A Mr Gurney was the prosecuter. Burrows was a King’s Pensioner, getting 7s. a week, and another 12s. a week working as village watchman. He had no children, and his wife was a lacemaker. He had been the one who told Rev. Fishers maid, Ann Jones, to summon her master and tell him that if he didn’t give the men 2s. a day, his house would be pulled down around his ears. When Rev. Fisher came out, he saw Burrows was holding a large stick. Collins, too, was armed with a two foot stick, and made the demand for at least 2s. a day, pointing out that at one time Rev. Fisher himself had paid labourers 14d. a day. Goodall said that the tithes were not worked out fairly, and wanted him to sign a pledge. It was he that suggested the crowd go on to Henry Hoare’s house, before the rector dissuaded them. Strangely, it was Henry Hoare’s wife who paid for Mr Munro, their defence, which even the Judges found bizarre, and “condemned the mistaken charity, if it might be so called, or if it proceeded by such pure motives, of supplying funds for the defence of rioters, who had so daringly insulted and threatened the clergyman of the parish”. The Defence Council said that the men had not rioted, and only wanted to discuss the wages and tithes, and had no argument with Henry Hoare. Several people gave the three men good character references, including one who later admitted being part of the crowd! The Prosecutor said he thought some landowners, including Mr Hoare, had urged the men to go to the rectors house The Judge expressed astonishment at the clergyman’s condescension and forbearance, but said he thought there were other agitators in the background, and that these three men had found themselves “…being the weak instruments of the malignant and selfish purposes of others…” but they were obviously still to be made an example of. All three were found guilty but recommended for mercy. The Judge said they had interfered in matters wholly unfit for their consideration. They were sentenced to “imprisonment in the House of Correction, at hard labour for 6 weeks.” They were lucky; hundreds of others throughout the country were sentenced to death, although most sentences were later commuted to being transported to Australia. Many were pardoned after a few years, although some chose to stay there. An anonymous printed paper regarding the proceedings was circulated locally, making certain accusations about the case, and the Northants Mercury found it necessary to print a denial and explanation during February. It also recounted that “…the fact of a member of [Mr. Hoare’s] family charitably supplying the means of defence for men considered innocent of the crime with which they were charged (and this is the recorded opinion of 25 farmers, tradesmen, and respectable persons, out of about 30, in the parish)”. It favours the idea that the rebels were really only complaining about the Rev. Fisher and the church tithes, but were actually happy enough with their landlords. Eventually, the riots subsided. The agricultural unrest throughout Britain in the 1830s assisted in the introduction of the Reform Act 1832, and also to the Poor Law Amendment Act 1834, which ended parish relief payments and eventually set up a chain of workhouses across the country, to which the poor had to go if they wanted help. A John Collins appears in the 1841 Census for Hogsty End, Wavendon, as a 32-year old agricultural labourer, who was born in Bucks. This age fits with the report above. He was married to Elizabeth Collins, 39, and had four sons, Noah, 12, Josiah, 10, James, 7 and John, 5. He continues appearing in the Census in Wavendon until 1871, by which time his address is listed as Hardwick Cottage. A death of a John Collins is recorded in the Newport Pagnell area in 1879. ‘Thomas’ is used as a forename in some records. There are no 37-year old William Goodalls on the 1841 Census for Hogsty End, Wavendon, to fit the report. There is a William Goodall, aged 30, an agricultural labourer, born in Bucks. He was living with three children, John, 16, Joseph, 13 and Sarah, 4. The only other William Goodall’s are one aged 84, an agricultural labourer, and one aged 50, a shoe maker. A Thomas Burrows cannot be found on the 1841 census for Wavendon. 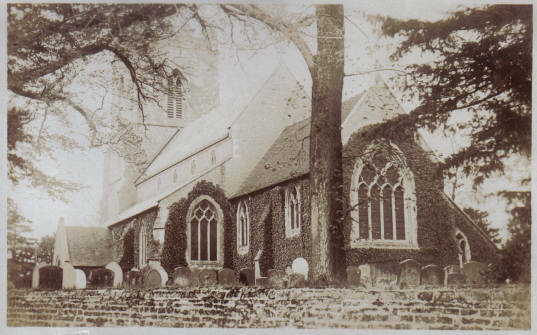 However, a Thomas Burrows died around the Newport Pagnell area in 1838 and another, John Thomas Burrows, in 1840. He published several poetry books and open letters, “The Valley of Lanherne and other Verses”, 1801; “Comparative Thoughts on the merits of the Society for Promoting Christian Knowledge and of the Bible Society”, 1816; “A letter to F. Lewis, Esq. M.P. 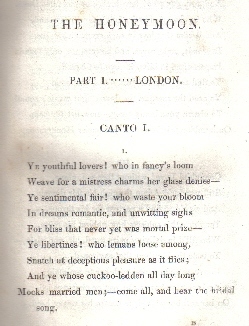 on Commutation of Tithes”, 1817; “The Residence, Two letters in Verse”, 1821 and “The Honeymoon” which he wrote in 1810, but didn’t publish until 1840. On WEDNESDAY and THURSDAY, JANUARY 27 and 28. 1817, each Day at Ten o’Clock precisely, on the Premises, the Rectory, Wavendon, the Property of the late Rev. John Fisher. THE FARMING STOCK. The Live Stock comprises 12 Yorkshire Heifers, 1 ditto and calf, 1 in-calf Yorkshire cow, 1 ditto in full profit, 1 in-calf Alderney cow, 5 Irish oxen and heifers, 6 weaning calves, 30 in lamb Welch ewes, 10 half-bred tegs, a carriage horse, an in-foal cart mare, 6-years old pony quiet to ride or drive, and 2 porket pigs. The Dead Stock consists of about 32 tons of exceedingly well-gotten meadow hay (to go off,) about 9 loads beans, corn staddle, broad and narrow wheel carts and other agricultural implements. THE HOUSEHOLD FURNITURE & EFFECTS. The Dining and Drawing Rooms are furnished with well-manufactured articles of every description in rosewood and mahogany. The Bed Rooms are fitted up with lofty full-sized mahogany four-post bedsteads and furnitures, French, tent, and other bedsteads, excellent feather beds with bedding, large mahogany wardrobes, nests of drawers, and the usual assortment of chamber furniture. Readers interested in Buckinghamshire’s role in the Swing Riots are directed to the excellent “Buckinghamshire Machine Breakers – The Story of the 1830 riots”, by Jill Chambers.